Intergate, in conjunction with our travel visa partner, offers a bespoke DRC visa service (Democratic Republic of the Congo) that provides advice, compilation of the application, submission and return. Please go here for assistance with visas for the Congo. Who needs a DRC visa? Arriving from a country with no embassy, in which case they can obtain a visa confirmation followed by a 7-day visa on arrival. What type of visas are available? Tourist visas: This visa grants tourists/visitors the authorization to enter the country through designated ports of entry such as airports and harbor stations. Business visas: The business visa is issued for various reasons, such as conducting feasibility studies, establishing professional and business contacts, and making arrangements for investments in the DRC. How do I apply for my visa? 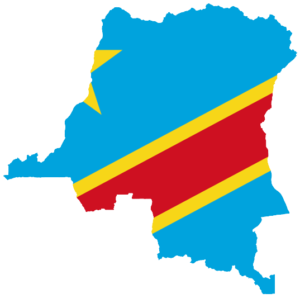 A DRC visa is applied for at the Embassy or Consulate of the Democratic Republic of the Congo or visa application centre. Please note: You must apply for your visa prior to travelling. Do I have to go in person to submit my DRC visa application? Intergate, in conjunction with our travel visa partner, can arrange the submission of your visa application on your behalf. However, this may change as more and more embassies are requiring the visa applicant to submit in person. Do I have to pick up the visa in person? Intergate, in conjunction with our travel visa partner, can collect your passport on your behalf. Please note this may change as more and more embassies are requiring the visa applicant to collect their passport in person. You’ll receive an outcome on your DRC visa within three working days. Processing times for certain passport holders may differ. How long will my visa be valid for? Tourist visas are issued for 90 days while business visas are issued for 30 days.